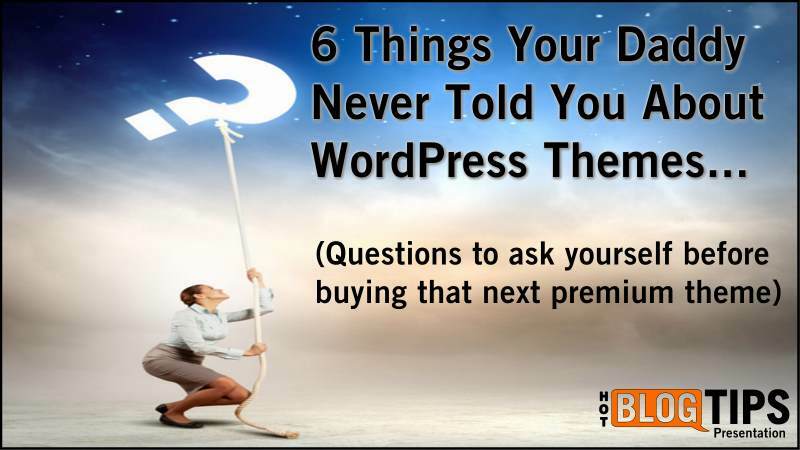 We all know and understand the value of a great looking blog and most of us understand the basic questions to ask a developer before buying our next premium WordPress theme. This post and SlideShare (Embedded above) looks at six questions we should ask ourselves before hitting that “buy now” button. Be sure you have the answers to these six questions and you’ll have a better experience with fewer problems. This post is based on last week’s blog post, “Digging In Deep Updating Old Blog Posts For User Experience And SEO”. Its such an important issue I wanted to highlight it with it’s own article and presentation. Question #1: Many themes allow for some very cool tricks with the use of [shortcodes] but what happens when your next theme doesn’t support those shortcodes? You’re left with visible [code] that doesn’t work anymore. Now you have to either ignore the ugliness, go back and remove all of those dead shortcodes, or find a WordPress plugin that can pick up the slack and repair the damage. Question #2: Is your theme hiding plugin vulnerabilities? 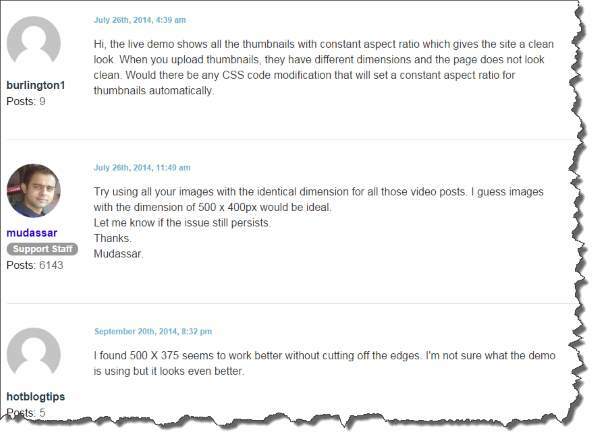 We just experienced a “Slider Revolution Plugin” vulnerability that required an immediate update. Those using WordPress themes that have bundled that plugin into their functions now have to hope the developer is on top of things and sends an update to their users. Question #3: What happens after embedding hundreds of images into your blog posts and your next theme adds it a second copy automatically? 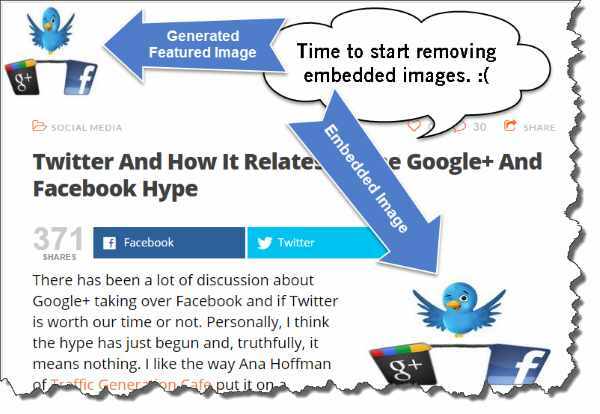 Some WordPress themes automatically display your featured images while others require you to embed them. Get unlucky like I did and do all of the image embeds first, then switch to a theme that displays the featured image automatically and you end up with a mess like the one below. Question #4: What happens when your WordPress theme requires a featured image of 500px X 350px and your next theme requires them to be 800Px wide? How many images will you need to recreate or resize? How many licks does it takes to get to the center of a Tootsie Pop? For me it was a lot… Over 300 images worth. See last week’s post for the details. Question #5: How much work is required to keep an up-to-date theme? 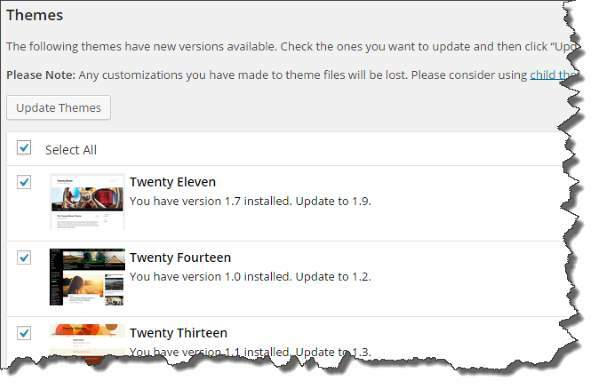 Unless you love backing up, saving custom content, and deleting the old theme just to update to the newest version, look for a premium theme that sends automatic updates via the WordPress dashboard. Question #6: Are your custom files going to be overwritten? When it comes to things like custom CSS, you want a separate location for those files so it’s not overwritten by the next update. I hope these questions helped a few of you. Did I miss anything? Have more questions? Comments? Feel free to comment below. Want more? If you want more on this and related topics, check out last week’s post Digging In Deep Updating Old Blog Posts For User Experience And SEO.